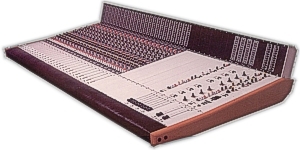 Pioneer in electronics, Jean-Marie Fusilier founded his company in 1974. It specialized in high frequency and infra red remote control systems for critical industrial and defense applications. The audio department was created in 1985, as a side project named JDF Audio driven by the passion for higher fidelity music playback. At that time Jean-Marie Fusilier who had significant experience in tube amplifiers design, developed ultra linear audio solid state power amplifiers with an unprecedented approach : high voltage rails for greater headroom, high current enabled outputs for the best control of the speakers, selected and matched transistors for linearity, selection of high purity materials to carry the signal, ultra short path circuit design, direct coupling, enormous internal energy reserve for best transient response, made to measure passive components by specialists in aerospace and defense, use of techniques and components normally intended for telecom and radar systems... to serve the music. At a presentation in Germany in 1988, these innovative power amplifiers caught the attention of René Zingg, the passionate sound engineer and owner of the newly built Soundville studios in Lucerne, the first world-class recording studio in Switzerland. René Zingg asked for the evaluation of the JMF Audio power amplifiers technology for the control room (the isolated room in which the sound engineer and the producer evaluate the technical choices and monitor the overall sound result). A stereo amplifier was compared to the already installed famed Swiss mono blocks. René Zingg was so amazed by the natural sound that Tom Hidley, the American designer of the studio, was advised to come and listen. Tom Hidley approved but challenged Jean-Marie Fusilier to build a power amplifier with 3dB more level. This meant twice the output power! The technology did not allow it a such, but of course the challenge was taken up. The studios owner, mastering engineer and Grammy Awards winner Glenn Meadows instantly purchased two pairs of JMF Audio mono blocks. The reputation of the studio had to be preserved. 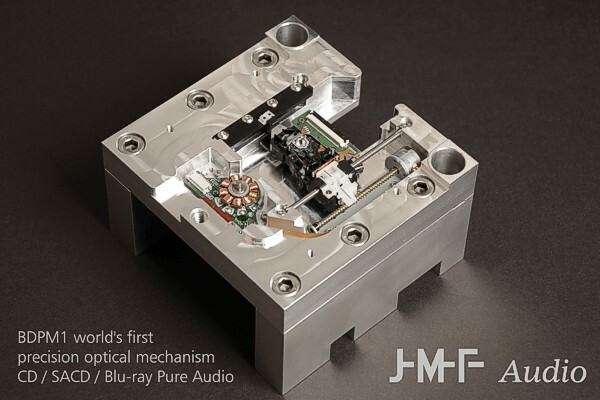 Starting from the results in Nashville, Tom Hidley, the most influential and respected recording studios designer in the world, has advised JMF Audio power amplifiers which ideally complemented his unique approach to simple path, neutral and faithful sound monitoring. The distribution of the JMF Audio power amplifiers to audiophiles was made from Japan, with fantastic feedbacks from connoisseurs. Being highly successful with the other industrial and defense activities of his company, Jean-Marie Fusilier did not feel necessary to further develop JMF Audio commercially at that time. Immersed in audio and music from a very young age, Jean-Marie Fusilier's sons Laurent and Arnaud, both graduated in science from regarded universities with experience and partners in laboratories, joined JMF Audio in the early 2000's. 2005, patent for our psychoacoustically based DSP cross-over. 2007, development of the HPM1000 loudspeaker system. Development of a woofer, possibly the most powerful and light weight moving parts for a 16" transducer. 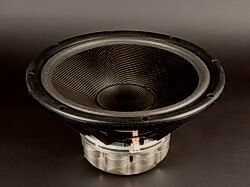 2009, first HPM passive speaker with HPX linear cross-over. 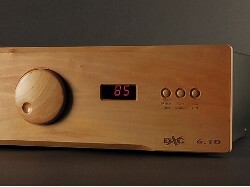 2010, invention of the CSV pure analog precision volume control for the PRS1.5 preamplifier. 2013, invention of the PCD302 power line conditioner concept with its independent cells. This wonderful journey has been possible thanks to our clients, the music lovers, the sound engineers who always ask for more and have challenged us to explore new areas. No advertisement, only quality. Connoisseurs knew where to get the best. Lindberg Lyd (2L), Norway, 2016 (classical music and jazz). With over 28 nominations to that date for the Grammy Awards with respect to the excellence of his work, the producer and owner Morten Lindberg integrated JMF Audio's PCD302 mains conditioner and power cords to supply the recording equipment in the pursuit for the most natural sounding albums. The HQS power amplification technology is compared to the trusted reference mono amplifiers of Soundville, a Tom Hidley designed studio in Lucerne, Switzerland. More details about Tom Hidley, the equipped studios, and links to literature can be found in the Heritage section. Development of the HPM1000 great loudspeaker driven by DXC6.10.